Mural by Falko One in Cape Town, South Africa! More info about Falko One and his work is coming up tomorrow! 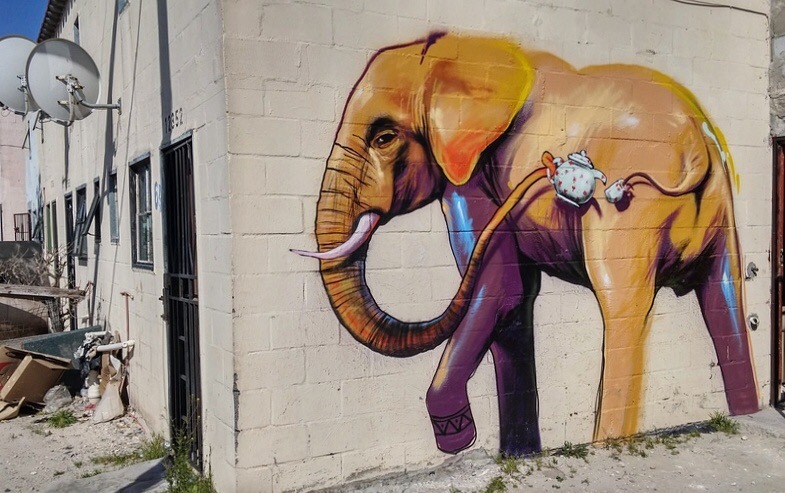 His work, just a little bit, makes me think of Birdo, a street artist here in Toronto, who also paints multicoloured animals — except Birdo also plays with textures and the shapes of different body parts.Search birdo toronto, or birdo toronto images. Thank you for the recommendation, I haven’t seen any work by Birdo before. And now I am amazed, these murals are beautiful and very elaborate! I will do a post about Birdo in the future 🙂 Thanks for the comment, Penny!